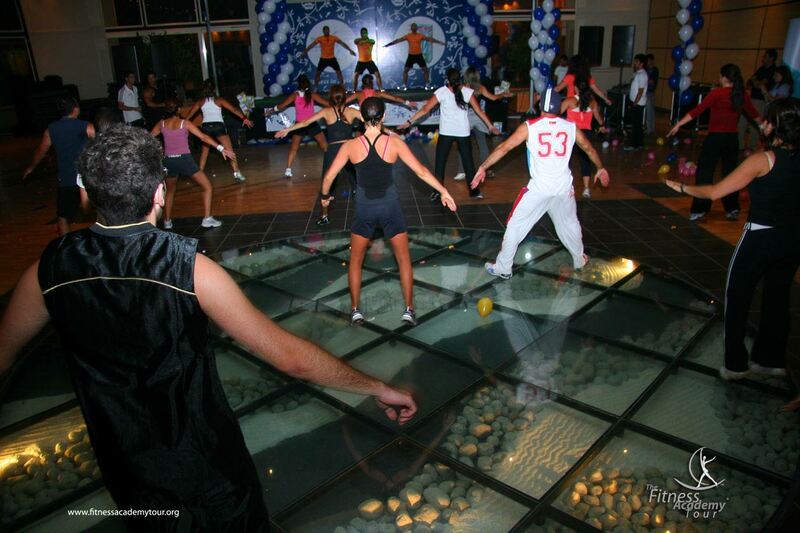 In previous years, Lebanon’s glorious countryside played host to large Fitness Academy Tour events. 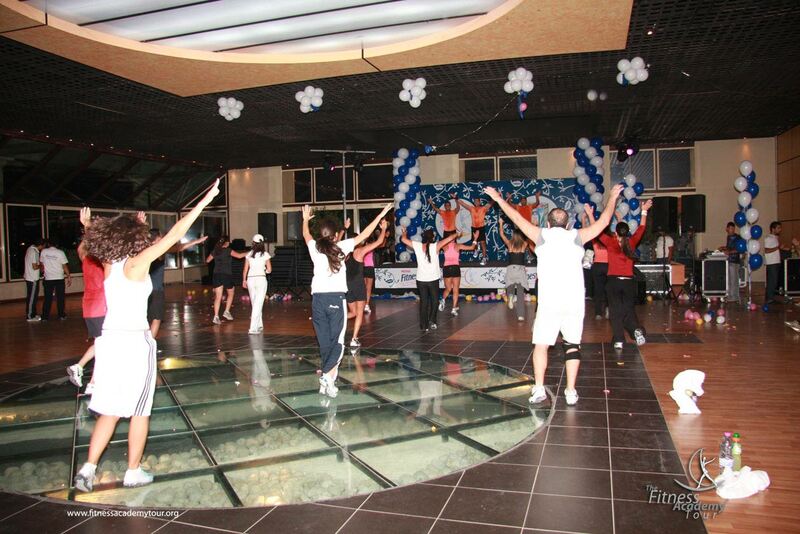 The launch took place in Yarze, Baabda. 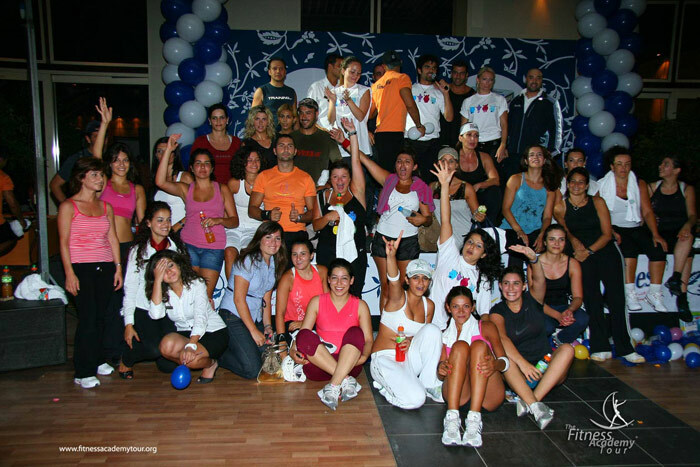 The 2007 edition was held in Jeita, Keserwan. 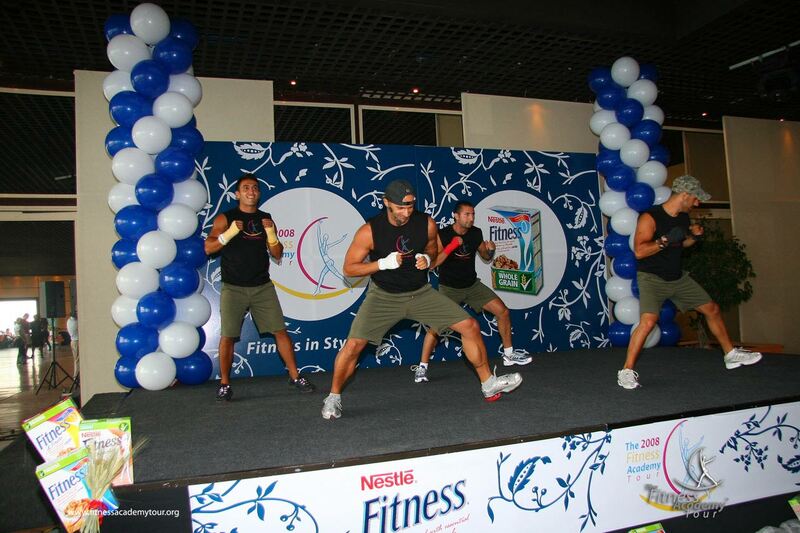 It was time for a big fitness event in the city. 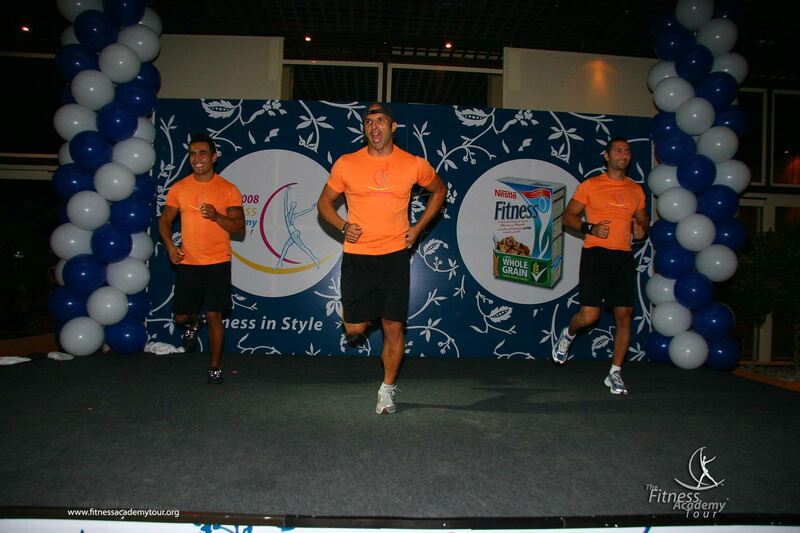 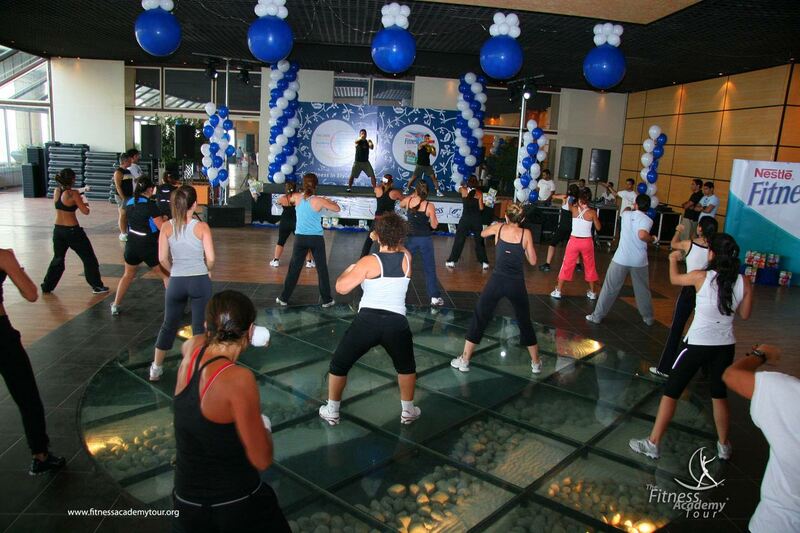 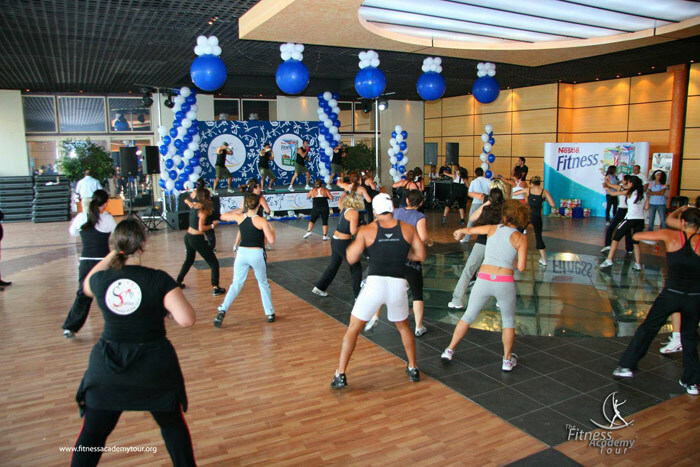 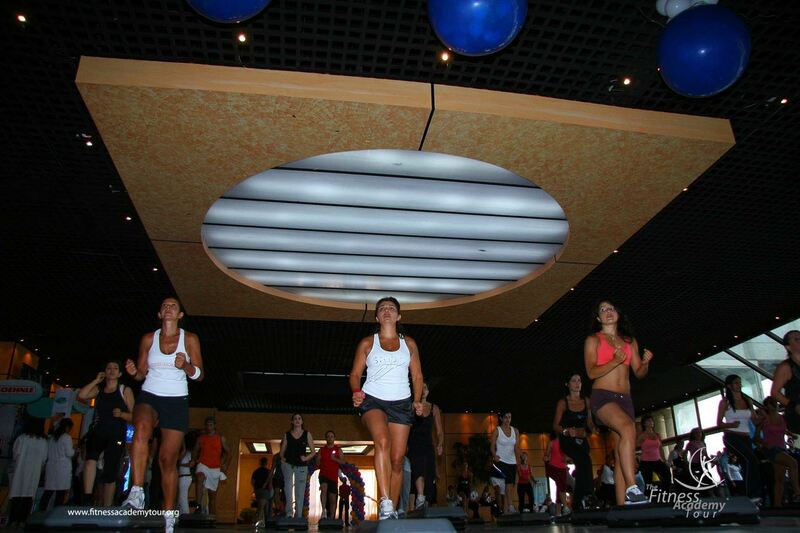 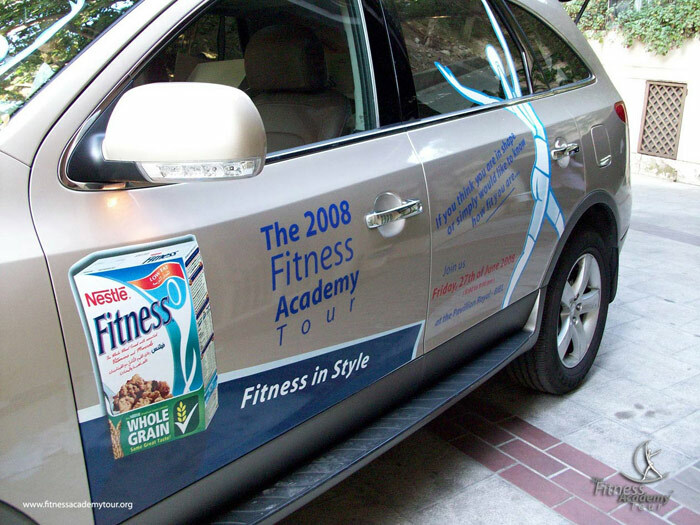 And so, the 2008 edition of the Fitness Academy Tour came to Beirut, and settled at the Pavillon Royal in BIEL. 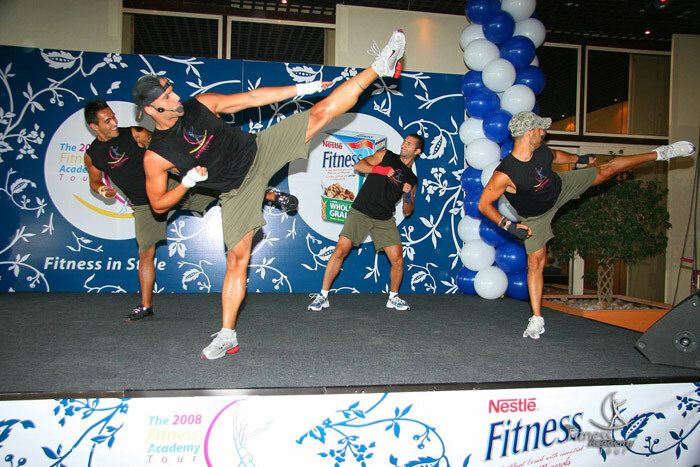 This time around, Fitness First introduced a variety of Les Mills group fitness and team training programs that kept participants on their toes from start to finish. 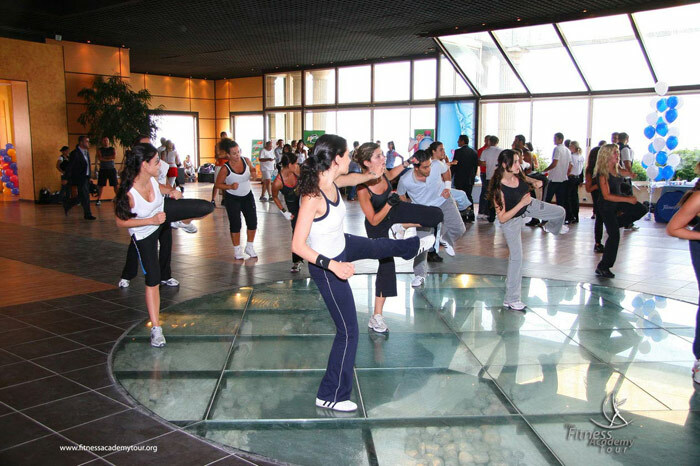 LesMills programs, like BodyCombat, BodyJam, BodyStep and BodyAttack, are highly motivating, and safe workouts that can transform your body, and improve your mental health. 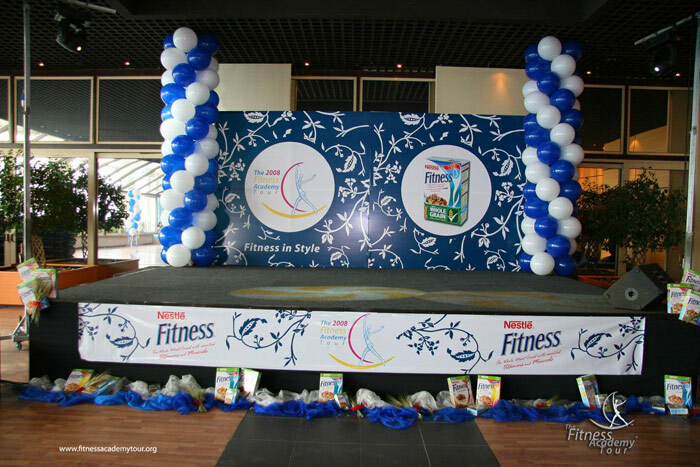 Click on the thumbnails below to browse the photo gallery.